You’d probably never guess how Monique lost her weight. It is a form of exercise, but it’s not exercise per se. Mo’Nique lost around 40 pounds by dancing and sweating and moving her muscles as she announced on the Oprah Winfrey show, that’s how. So if you aren’t into the traditional going to the gym and lifting weights or straining for an hour in the aerobics class, then maybe putting on some music and just having fun dancing in your own living room may be the way to weight loss. So what motivated Monique to lose the weight she did? She claims she was very comfortable with her body at a weight of 262 pounds but received a wake-up call one morning when her husband asked her how much she weighed as she was exiting the shower. When her husband Sid leet out a bit of a sigh and said he wanted his Monique around for a lifetime, that’s when she decided it was time to start doing something about her weight. Not only did Monique start dancing, but she did join a gym and she cut red meat out of her diet. Now, if you didn’t know it, many people are cutting red meat from their diets. That’s because red meat is linked to so many diseases and to obesity. It’s hard to digest and can cling to your colon, it is high in fat even if it looks lean and frankly us Americans eat way too much of it. Monique has lost some 40 pounds is now at 221 pounds and hopes to get down some time soon to 200. She’s on the right track with her meatless diet, dancing and going to the gym exercise program. Maybe lots of us could learn a few things from Monique in the weight loss department. May some day I’ll figure out how to spell her name as well. Is it Monique, Mo Nique or Mo’Nique? 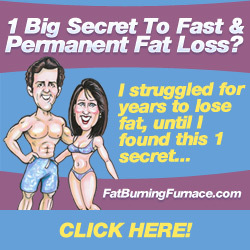 Permanent Fat Loss Ebook. Click Here! I saw her on Oprah and she looked phenomenal. I am glad she has started taking better care off herself. She is really a great actress and comedian that I would like to see around for a while. I happen to skip BET and saw Monique and was thinking, “wow, she’s really dropping the pounds”. She looks healthier, lighter, radiant. She shines! She’s a true picture of what happens when you take care of your body. I think that you look so beautiful and shaply you made a diffient in our lives,God have did wonder’s in you, don’t get me wrong i believe it was alway’s there, May God bless you and your family richly. I’m so proud of her she looks wonderful and inspiring. I started on that journey myself. congrats to her!!!!!! I have watched The Monique Show since it first aired. Wow, Monique looks awesome and you can see the weight she has lost. Looking good girl. Monique looked good when when she was 262 lbs. Why, because she always dressed and still dresses according to her body weight and shape. I think she is a phenomenal individual and has a wonderful well rounded show. GO MONIQUE………………..